« Russia can no longer be considered as a strategic partner, and the European Union must be ready to impose further sanctions if it continues to violate international law » - this is the resolution approved by the European Parliament on 12 Mars with 402 votes for, 163 against, and 89 abstentions. The resolution, presented by Latvian parliamentarian Sandra Kalniete, denies above all any legitimacy for the Presidential elections in Russia, qualifying them as « non-democratic », and therefore presenting President Putin as a usurper. After these and other accusations, the European Parliament declared that Nord Stream 2 – the gas pipeline designed to double the supply of Russian gas to Germany across the Baltic Sea - « increases European dependence on Russian gas, threatens the European interior market and its strategic interests […] and must therefore be ended ». 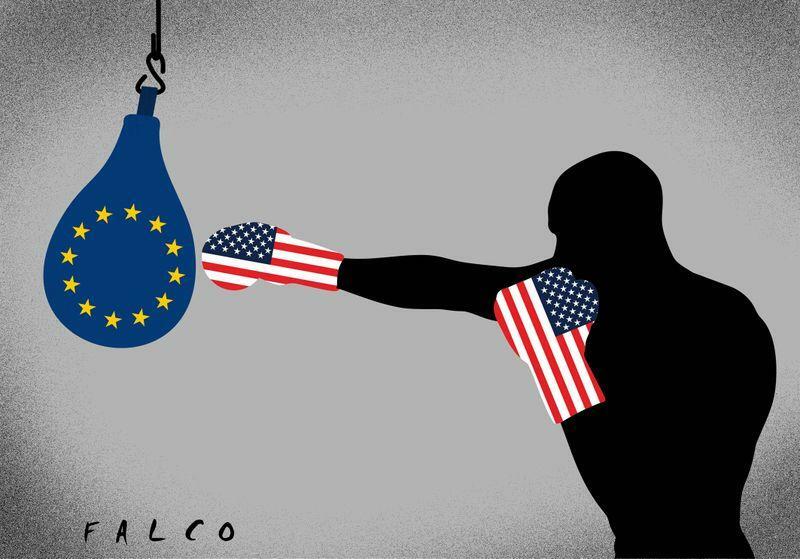 By creating the false image of a dangerous Russia and China, the institutions of the European Union are preparing public opinion to accept what the United States are now preparing for the « defence » of Europe. The United States - declared a Pentagon spokesperson on CNN – are getting ready to test ground-based ballistic missiles (forbidden by the INF Treaty buried by Washington), that is to say new Euromissiles which will once again make Europe the base and at the same time, the target of a nuclear war.